Product names listed herein are trademarks of AS America Inc. NOTE: Take extra care in handling the front surfaces of the walls. Use only non-abrasive cloths to avoid scratching. sure your installation conforms to local codes. Local building codes vary by location. Observe all local plumbing and building codes. installation. Refer to American Standard roughing-in information for specific dimensions for each model. over stud walls. Drywall is not required. which follow. Prepare studs as indicated. American Standard is a great supplier that produce different goods like automotive. Our team collected 366 actual pdf user guides of this supplier . 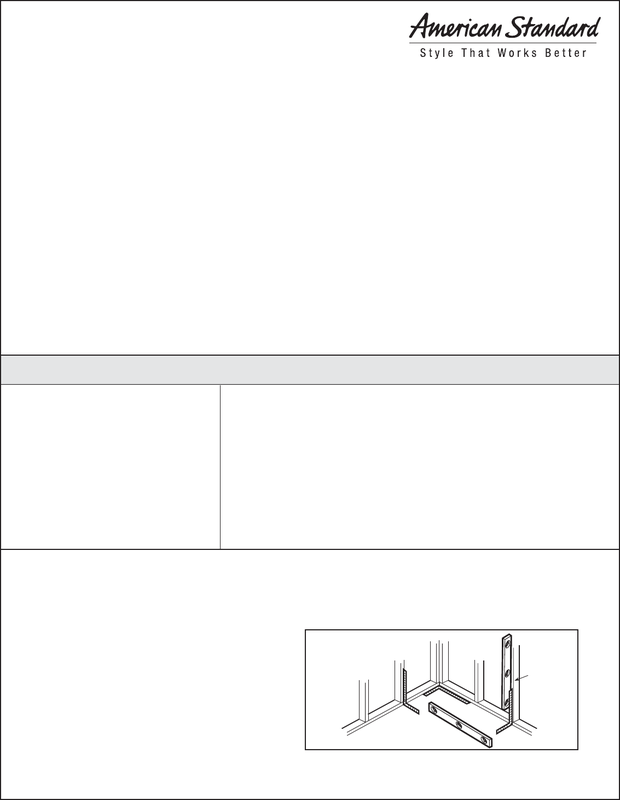 Now you're reading a user guide for American Standard Bathroom Aids 2649BW.